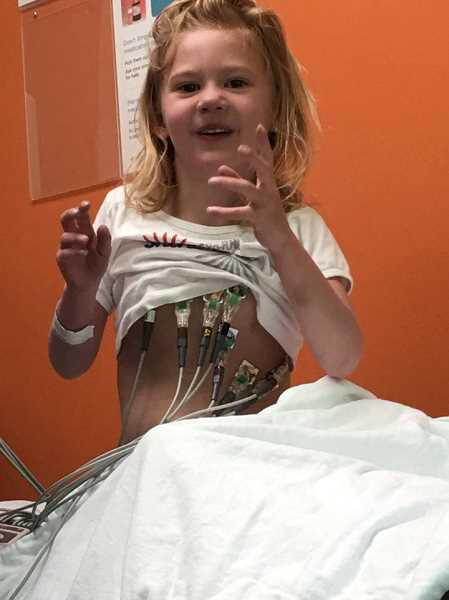 Carus kindergartner Cora Sutton has been waiting for a life-saving heart transplant since August 2017, and she still waits. "There is not a time frame when a heart becomes available. It's a waiting game," said Cora's mom Rachelle Dominguez. Cora was born in July 2011 with a condition called Hypoplastic Left Heart Syndrome, a congenital heart defect in which the left side of the heart does not develop fully. It affects normal blood flow through the heart. Cora has coexisting heart defects as well. Fortunately, Dominguez's doctors discovered the defect early in her pregnancy, so the cardiologist was able to plan for her arrival. And Cora came out fighting. "When she came out, they told me to expect a few months, but she was only in there for 23 days," Dominguez said. "With all of her surgeries, she's done really well." 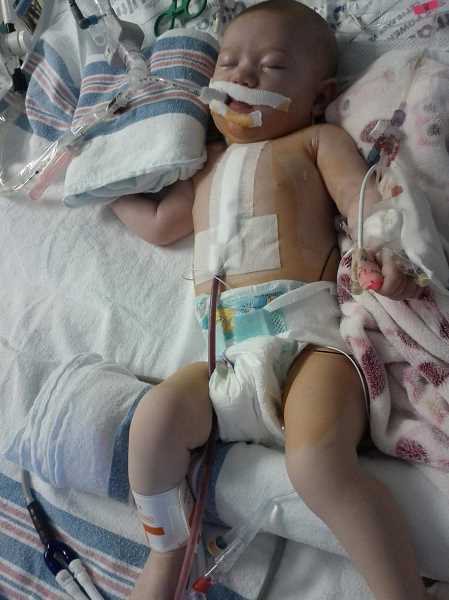 Cora had her first heart surgery when she was just a week old. Then for several years, despite her condition, Cora thrived. She hit typical milestones and enjoyed activities like running around outside with other kids. And even though her physical heart is small, Cora has plenty of love to give. "She always has had kisses and hugs for everybody in the family," said family member Janeen Scott. "There's never a goodbye that isn't a kiss and a hug." But in 2015, at the age of four, when Cora went in for what was expected to be her final surgery for several years, the family received discouraging news. Cora's heart function was much poorer than doctors expected, and she was unable to have the surgery that often carries patients through to adulthood before needing a transplant. Since then, Cora's worsening condition has become apparent. Her lips, fingers and toes are purple. She is fatigued. She is struggling to gain weight. She is more tired and less able to keep up with kids her age. "She started asking to take naps at school, which is not normal for her," Dominguez said. So in 2017, at the recommendation of her medical team at Seattle Children's Hospital in Seattle, Washington, she was placed on the organ transplant list; and the only thing the family can do now is wait. Cora is a status 2, meaning she is stable and not in the hospital. The family is ready to drive to Seattle at the first word of a match. At that time, the medical team will look at the heart to make sure it is a good match for Cora, and then they will bring it to the hospital where Cora will be waiting under anesthesia. Dominguez desperately awaits that phone call as she sits by unable to do anything to help her little girl. "There's nothing that I can do for her," Dominguez said. "I can't do anything other than what the doctors ask me to do." Because the costs of transplants can be outrageous, the family has sought the help of the Children's Organ Transplant Association, a national charity dedicated to organizing and guiding communities in raising funds for transplant-related expenses. 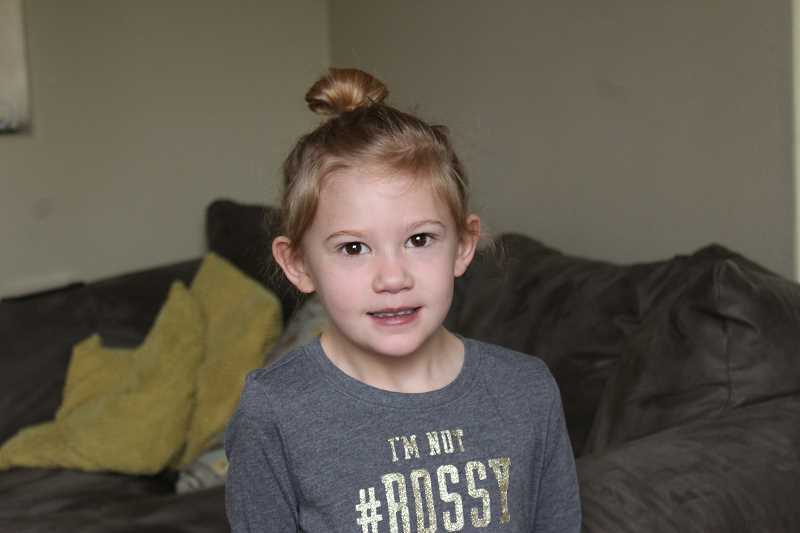 The goal for Cora and her family is set at $40,000, and those funds will be available throughout Cora's life, including for an anticipated second transplant. "It would allow me to be with her during her whole procedure," Dominguez said, "because if I don't have those funds, I have to still work and figure out who is going to be up there while I'm not up there." Some Fundraisers have been set, including a family bowling night at Wilsonville Lanes on Oct. 21 at 11 a.m. or 2 p.m. The cost is $25 per person, and the funds go to COTA in honor of Cora. Those wishing to give directly may send donations to the Children's Organ Transplant Association, 2501 West COTA Drive, Bloomington, Indiana, 47403. Checks or money orders should be made payable to COTA, with "In Honor of Team Cora S" written on the memo line of the check. Secure credit card donations are also accepted online at www.COTAforTeamCoraS.com.